The following post is one I wrote two years ago. I’m re-posting it now because I’m afraid it has been buried, and the topic of denial is so important–as is the topic of dissociation, denial, in the case of the “butterflies.” I also want to honor the contribution of Dr. Elizabeth Kubler-Ross and her work in helping people become aware of the power of denial, especially as denial relates to abuse and to death. Denial can be a friend and can temporarily spare us pain, but it can also be the cause of pain and lead to death. I was lucky–my therapist had faith in me and cared about me. Our relationship helped me heal to the point where I could see the truth in my situation: My children and I were being abused, and I had the power to stop the abuse. My former husband said to me several months after I reported him, “If you had not stopped the process, one of us would be dead.” Now that I have read “The Verbally Abusive Relationship” by Patricia Evans and “The Sociopath Next Door” by Martha Stout, Ph.D., I know I would have been the dead person. Scary! If you are trapped in a domestic violence situation, I urge you to find help before it’s too late. Go to a women’s shelter and let the authorities deal with your abuser. Press charges, as I did. That is your only chance to find freedom and get your life and the lives of your children back. In 1981, I attended a Life, Death, and Transition workshop held by Dr. Elisabeth Kubler-Ross at Corbett, Oregon. In one of her lectures, Dr. Kubler‑Ross talked about touring the German concentration camp sites shortly after World War II and her surprise at beholding gorgeous butterflies drawn on the walls of camp barracks. The prisoners, she said, drew those butterflies so they could deny the danger and the death inherent in their everyday reality. As I listened to Dr. Kubler-Ross describe the butterflies, the concentration camp barracks, and the possible mental states of the prisoners, I felt a deja-vu sensation. What Kubler-Ross was saying about the prisoners and their butterflies resonated within me. I realized, then, that my daughter and I had been prisoners in our own concentration camp, and I remembered my own butterfly. At the end of summer in 1978, my family and I returned to Centralia, Washington, after having lived for two years in Germany. We bought a house and proceeded to settle in. The following few years was a period of new beginnings. In 1980, our son went away to college, our daughter started sixth grade, my husband began a new position, and I began a job as an insurance clerk. And along with these beginnings came the beginning of stepped-up sexual violence in my marital relationship. Now, some thirty years later, I can see the text-book dynamics of domestic violence at work—my isolation and lack of female friends in whom I could have confided, my fear of displeasing my husband and triggering his violent temper, and my inability to see that I was being abused. In 1980, I knew my life at home was not what I had hoped it would be when I married in 1961, but because I had no idea as to what behavior took place in the bedrooms of other women, I had no frame of reference, no way I could evaluate my own experience. Although I did not know it at the time, my mental state was much the same as that of the Jews described by Dr. Kubler-Ross: I denied the danger inherent in my situation, and I waited, expecting my situation to improve. To help me wait, I, like the Jews who drew on the walls of their barracks, painted an imaginary butterfly on my bedroom ceiling. My butterfly was merely a piece of ragged wallpaper on the bedroom ceiling, but my imagination added details and glorious colors to that gray, torn bit of wallpaper until it became a beautiful Monarch. 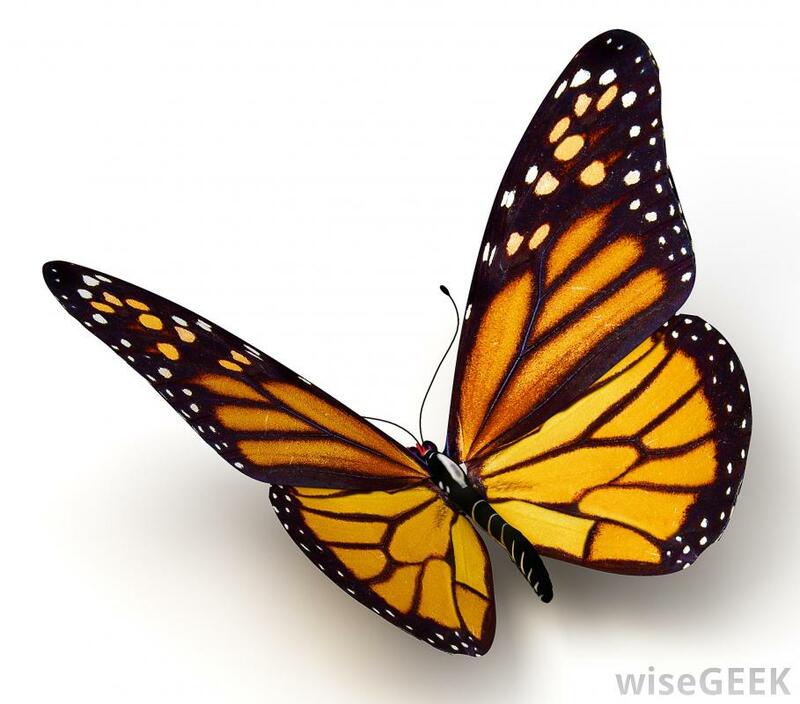 As I lay in bed, I would stare at the ceiling, willing my self to fly from my body and become one with that butterfly. As the months passed, I became more and more skilled at flying. I reached the point, in fact, where I flew to the ceiling whether I wanted to or not. My body could be making the bed, changing clothes, or doing whatever it was expected to do, but I was on the ceiling the whole time, velvet wings flapping, watching from above. One day, however, I caught myself in mid flight, understood where I was going, knew why I was going there, and realized that my flying had to cease. How or why did I suddenly recognize the reality of my situation? I can only surmise that the fact I was in therapy had something to do with my sudden insight. A few months previous, I had begun seeing a therapist because I felt so fragmented that I had to talk myself through my daily routine in order to function effectively. Each step of the way, I had to tell myself aloud what I was doing or what I was supposed to do, including during my job as an insurance clerk. Luckily, other than my boss, who was out of the office much of the time, I was the only employee, and normally not many clients came in person to take care of their business. When somebody came in, I was able to greet the person, converse, and do what was expected. When I was alone, however, I was forced to resume my dialog in order to do filing or other paperwork. After living for about six months in this condition, I knew I needed help. Thus, when I entered therapy, I believed that my increasing inability to think or reason effectively and clearly without talking myself through my day was a sign that my cognitive abilities were breaking down, but I did not connect this with the abuses I endured in my marriage. I worked hard in therapy, and my therapist was supportive and concerned. As time passed and I became more trusting of my therapist, I found myself beginning to think more clearly without having to talk myself through daily tasks. In addition, as thinking became easier, I became more and more aware of the chaos outside my head. In the bedroom, I flew to the ceiling less often, and I became less and less tolerant of my husband’s rages, of his violence in the bedroom, and of his verbal abuse. I began telling him when I didn’t like what he was doing to me. In addition to becoming more aware that I was being abused, I also let my husband know that I would not tolerate certain of his practices with our daughter. For example, rather than cringing in fear when he stood our daughter in the corner after dinner, shouted multiplication problems at her, and then cursed at her when she failed to give the correct response, I let him know that his behavior was abusive and unacceptable and had to stop. Although he did not completely stop this behavior, the after-dinner sessions became less frequent. Perhaps in response to my newly-exhibited assertiveness, his behavior changed—at least, that was my thought. He threw fewer tantrums, spoke more respectfully, and generally became less violent. He even asked me to buy our daughter some pretty dresses, something he had never done before. I happily assumed that our relationship was improving and that my husband was trying hard to control his volatile temper. The change in my husband’s behavior caught me off guard. I relaxed around him and became more trusting. At this point, life looked good. My husband’s behavior toward our daughter and me was improving, so I thought, and I allowed myself to hope that in time, we would become a stable and loving family. Like the Jews lured into the gas chambers by promises of hot showers and clean clothing, I was seduced into believing that my husband’s outwardly changed behavior was an accurate indicator of his intentions. Thus, the truth of our situation hit me like a sucker punch when I walked in on him one spring evening in 1981 and caught him in the act of using our daughter for his own sexual pleasure. Shortly after discovering the abuse and when I had my first chance to talk to my daughter without my husband being present, I learned that after we returned from Germany, he had begun grooming her for the abuse and had begun the abuse in earnest right after her eleventh birthday. Each time I left the house to shop or to run errands and left her home with him, she became his prey. And because our daughter had spent the first three years of her life being bounced from one foster home to another, she was especially vulnerable and eager to please him. She had no desire to displease him and risk being sent back into the foster care system. Because her father had told her that if I learned of the abuse, I would be jealous and wouldn’t love her, my daughter was reluctant at first to give me any but the most general information regarding what had transpired between her and her father. After I reported my husband, however, and she realized that he would no longer be living in our home, she gave me details of incidents. As the details emerged and I became progressively more horrified at the abuse she endured, my anger intensified. How could my husband have performed those atrocities on an innocent child, a child who had spent the first three years of her life in the foster care system, a child who needed so intensely to feel our love as her adoptive parents? How could he have been so, so selfish? How could he have been the person I was married to for twenty years? My anger and those questions swirled around my mind as I tended to the practical matters involved in establishing a new household, one in which I was the head and the sole parent of my thirteen-year-old daughter. Thirty years later, I still can’t answer those questions. My daughter is grown and married. According to her, her life now is okay. I admire her. She is a good person, kind and loving despite the abuse she suffered. I’ve been on my own since that day in 1981 when I reported my former husband to the police. And since then, I’ve had no need for butterflies on my ceiling or for flying to join them.